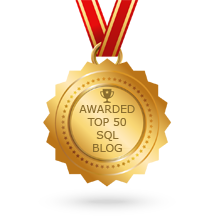 Looking for MS SQL Server Experts? We can help you make your SQL Server more efficient and reliable. Let’s work together to achieve your organization goal. We are SQL server experts – trained and experienced professionals in SQL Server database administration, performance tuning and database problem-solving. SQL Server Citation helped Gyrus Systems analyzed database and made a recommendation for optimizing the database as well as suggestion related to applications. I would definitely recommend Hemantgiri and his team from SQL Server Consultant for Database related work.